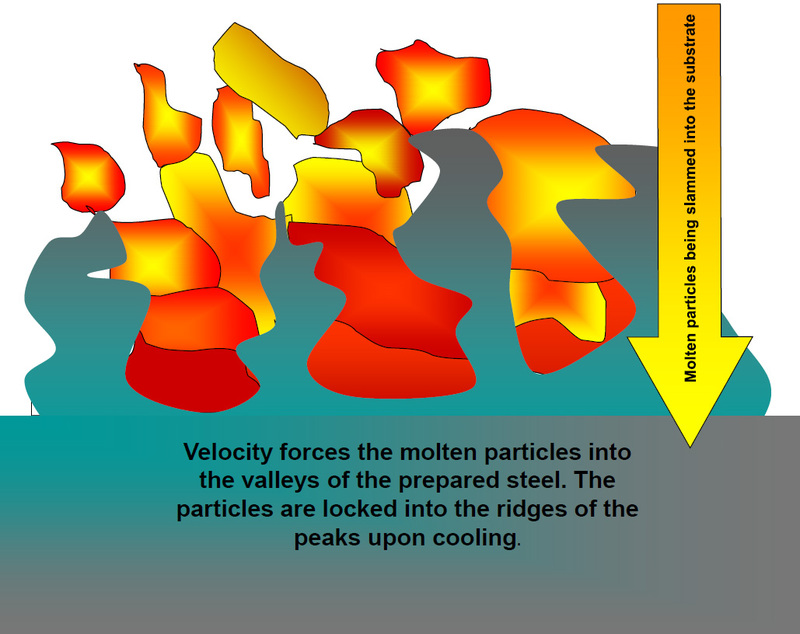 The microstructures of thermally sprayed deposits are ultimately based on the solidification of many individual molten droplets. A splat results when a droplet of molten material, tens of micrometers in diameter, melted in the arc, strikes a surface, flattens out and solidifies. The collection of these splats forms the deposit. 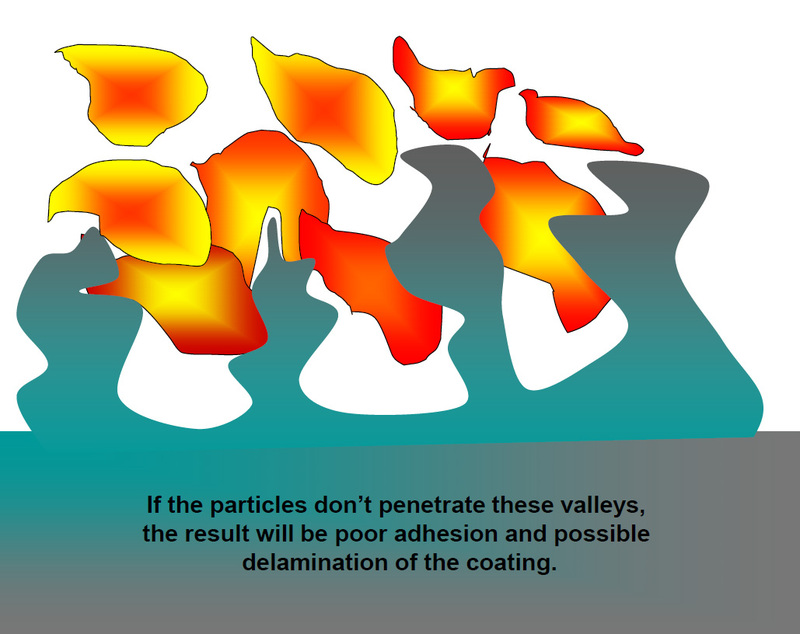 There are numerous considerations relative to the dynamics of deposit evolution during thermal spraying. The physical aspects of splat formation deals with the spreading of the molten droplet, interactions with the substrate, etc. These characteristics are affected by the temperature of the splat, the splat viscosity, surface tension, as well as other considerations. Splat morphology will depend on a variety of things, the most important of which are particle velocity, temperature, diameter and substrate surface profile. Further considerations involve the physical properties of the splat, which deal with cooling rate, solidification criteria, nucleation and growth of crystals, phase formation, etc. The above aspects of splat formation and solidification are complex and interrelated. Generally it can be said that when the parameters are such that as the particle velocity increases, the porosity decreases. IMC’s metalizing process has achieved these parameters. Home > Why IMC? > How is the coating formed and how does it work?